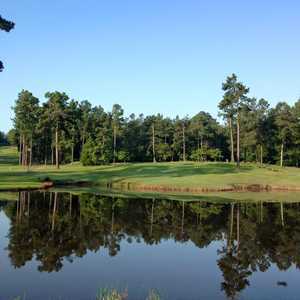 AUGUSTA, Ga. - The Goshen Plantation Golf Club is co-owned and -operated by former PGA touring pro Spike Kelley, and you would be hard-pressed to find a proprietor more eager to show off his golf course. Goshen Plantation Golf Club was completely remodeled in 2001. Kelley recently escorted a visitor around the club's excellent practice facility, which includes a 400-yard driving range, two practice greens and even a practice fairway bunker. The practice greens here are sloped, undulating and in immaculate shape, a harbinger of things to come once you get out on the course. Inevitably, they are compared to the greens of their neighbor, the most famous golf course in America. "We have the best greens in town, except for Augusta National," Kelley said. "I always have to preface that." Member North Williamson chimed in: "You won't find many better courses, especially the greens." The greens at Goshen are indeed special. No. 4, a 210-yard par 3 over water, ends in the longest green in Georgia, a 15,000-square-foot behemoth crowned and dipped in the middle and jutting out into the lake. If the flag is to the right and you hit left, you'll think you're putting from South Carolina. With all that space, the green isn't deep and sits at an angle to the tee box. It's a beautiful hole. This semi-private course is flatter than many in the hilly Augusta area, though most fairways are tilted, many toward the water that accompanies you on 12 holes. It's a very picturesque course that winds through Georgia pines. It wasn't that way when Kelley and co-owner Richard Finley acquired Goshen Plantation. The course underwent a massive renovation in 2001 that affected nearly every hole. All the greens, bunkers, surrounds and tees were remodeled. The course was originally designed by Ellis Maples, whose father served as construction foreman for Donald Ross; the younger Maples also worked for the famous architect. Many of Ross' ideas on framing bunkers can be seen at Goshen, especially on Nos. 9 and 15. The redesign was done by Bob Pinson's Course Crafters with Bill "Hollywood" Willingham as the shaper. "The bunkers were so flat you could putt out of them," Kelley said. "Now they fit the contours of the land better. When you look at the golf course today, you can't tell it's been remodeled." Goshen is a parkland-style course, though 500 trees have been eliminated since Kelley took over. It's been lengthened to 7,151 yards, and some of the par 4s can be nasty, though most of the fairways are wide with generous landing areas. 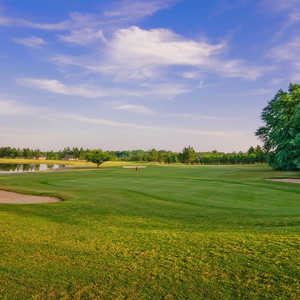 The 469-yard second hole requires a tee shot to be threaded between fairway bunkers left and trees right, to an elevated green framed by pines. In fact, most of the tough holes are on the front nine. "The back nine is easier and a whole lot more fun, in my opinion," said mid-handicapper Andy Johnston. 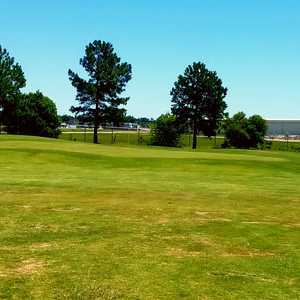 This may be the best bargain in the Augusta area, with green fees of $29 weekdays (including cart) and $39 on weekends. During Masters week green fees are raised to $100. If that sounds overpriced, it's still cheaper than what other area courses charge during this jacking-up period. The front nine has some nice elevation, though not as dramatic as at some other areas courses, and its greens are indeed probably the best in town aside from Augusta National. The clubhouse sits on an old plantation house, and slave quarters can still be seen on the property. The Radisson Riverfront Hotel is in downtown Augusta, with South Carolina just to the east across the Savannah River. The city's riverwalk meanders right by the hotel, and the crowds show up here the first Friday of every month for the social event known as, what else, First Fridays. The 237-room hotel (including two whirlpool suites) is outfitted with a business center, high-speed Internet in the rooms (for about $10) and 45,000 square feet of meeting space. It's within walking distance of shops, restaurants, museums and marinas and is a good central location for playing Augusta's golf courses. Augustino's at the Radisson has a pasta bar every Friday evening and with Sunday brunches. It's an Italian restaurant serving a variety of steaks and chops, with prawns, and other entrees like salmone alla aglio e burro (pan-seared Atlantic salmon), beef tournedos, veal scallopine and chicken picatta.